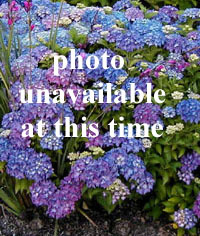 Joy Creek Photo Archive (c) all rights reserved We have planted Ceanothus gloriosus var. gloriosus 'Point Reyes' on a south-facing slope to serve as an evergreen ground cover. The snaking branches are burgundy. The small, leathery, rounded leaves are dark green. They are visibly toothed, resembling tiny holly leaves. Some stems reach up and out, some creep along the ground. Spring 2 ft. x 10 ft. This is found in coastal areas of northern California.